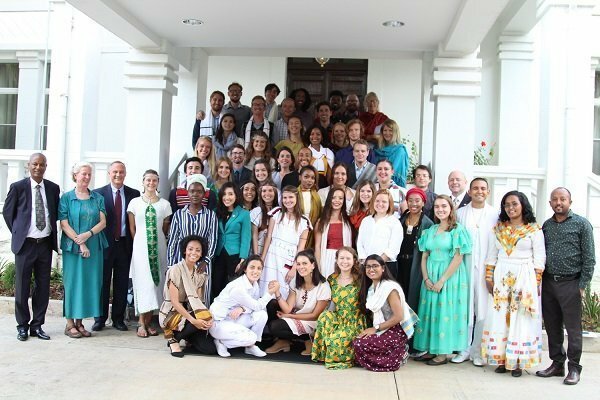 Ambassador Michael Raynor administered the oath of service to 46 new Peace Corps Volunteers at the U.S. Embassy in Addis Ababa yesterday. These Volunteers will be working on community-based engagement in the areas of health, agriculture and education in the Amhara, Tigray, Oromia, and SNNP regions. 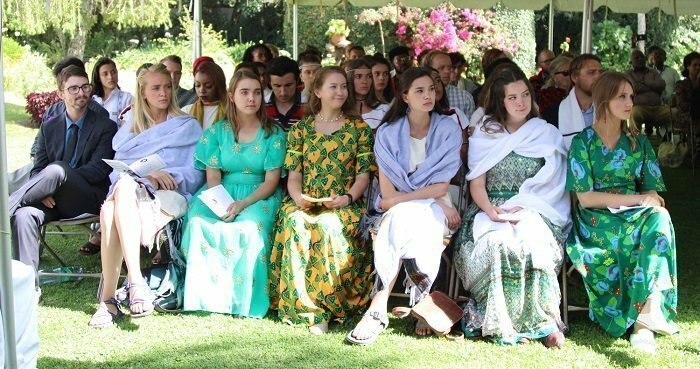 One Response to "46 New Peace Corps Volunteers Sworn in at U.S. Embassy"
After fifty-seven (57) years, Ethiopia still needs the help of New Peace Corps from the good old USA!!! I have absolutely NOTHING against the young, sincere, caring, enthusiastic, lovable, adventurer members of the Peace Corps Organization. I am questioning the NEED to still lift and grant Ethiopia ‘CRUTCHES’ to start walking (perhaps wobbling) and start developing elementary socioeconomic structure. It seems, fifty-seven years of “EDUCATIONAL SYSTEM ” didn’t amount to anything. Perhaps, I am completely ignorant [not a surprise] of the noble function of the Peace Corps.